Five months ago, I arrived at HBI for the spring semester as a scholar-in-residence. At the end of my stay here, this will be the longest period I’ve spent outside of Israel. As the child of a captain, and as a scholar in my adult life, I have had my share of traveling, but I never lived away from Israel for this long. Here was an opportunity to be a witness to cross-cultural distinctions, and by that I don’t mean the New England winters. All I can say about that is they have quite a nerve calling it the “spring” semester. What surprised me most was my reaction to the differences in Shabbat celebrations in the U.S. versus Israel. (For the record, I consider myself a secular Jew.) In Israel, one can always feel the commemoratives. On Purim, the streets are full of children in costume, and the bakeries have Haman’s ears (hamantashen). On the Holocaust memorial days, the television airs testimonial documentaries, and the radio streams sad songs. When the siren of Memorial Day (Yom HaZikaron) sounds, one cannot miss the moment. The cars stop, people freeze in the street. Even an alien watching from outer space would know that something was happening. I can look at this phenomenon from two sides. One side is that I am forced to take part in events to which I, or other members of society, may not feel a connection. The flip side is that in Israel, we celebrate as a society that has successfully maintained a sense of communality and solidarity. On my first Shabbat in the U.S., I noticed the difference. In Israel, something mysterious happens for Shabbat. On Friday morning, there is a big commotion – everyone hastens to the stores to buy goods and food. Around 1:00 p.m., the streets empty and the shops close. Something as delicate and transparent as a bride’s veil falls over the city. In my eyes, as a secular, feminist activist, Shabbat is a radical, humanistic idea that Judaism has presented to the world; but, I realized, it is also dear to my heart. I believe in the notion that everyone and everything, including slaves and animals, deserve rest of both the body and the soul. So cease the pursuance of business opportunities. Suppress the urge to meet requirements, to squeeze in one more email, one more phone call. In order to keep Shabbat from dissolving into the stream of life, even the Ten Commandments instruct us to remember the Sabbath. But here, in Boston, the buses go on driving. I can shop all weekend and watch cable television. Or, I can observe Shabbat in my own house, like anyone else. Well, no. I can’t be. I am a native Jew, and whining is in my genes. 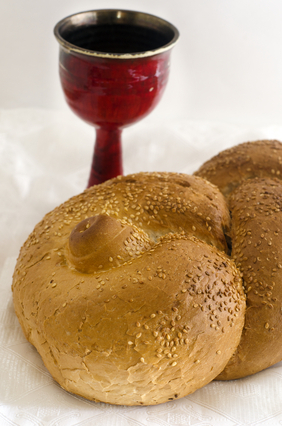 Where is the Shabbat feeling? Where is the aroma of the special day and the spiritualism in the air? My stay in Boston has made me appreciate the general recess of a nation as a whole. This does not mean I have transformed into an Orthodox Jew. I am, however, more than ever, full of appreciation and admiration for the beauty and wisdom in our tradition. I needed to travel all the way here, across the Atlantic Ocean, to have this insight. It is one of the many things I will bring back to Israel. Ornat Turin was a scholar-in-residence at the Hadassah-Brandeis Institute. She is the head of the media education department at Gordon College of Education in Haifa, Israel.